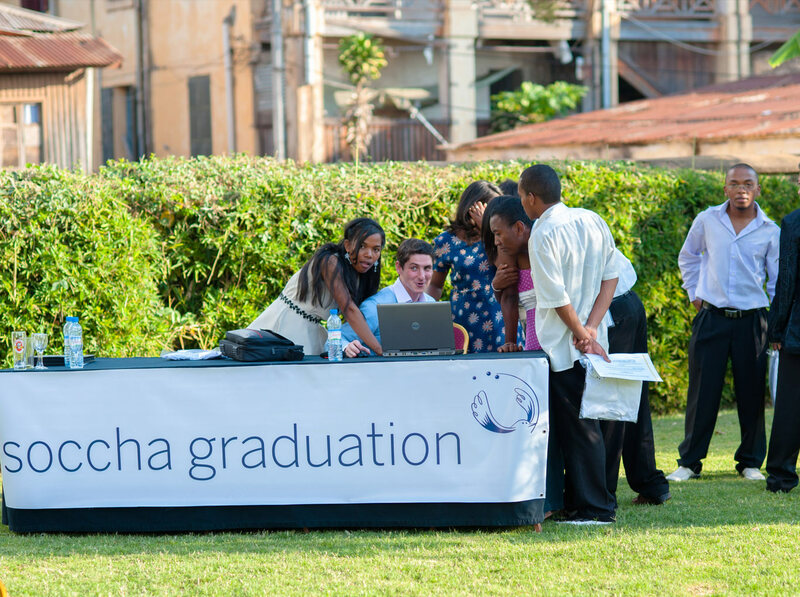 Soccha is an innovative social outsourcing company that aims to contribute to the employment of underprivileged people by offering them trainings and work opportunities. The project is built in two stages: on one hand, the training and hiring of young and under-qualified jobseekers and, on the other hand, the prospection of companies that are interested in professional outsourcing services. 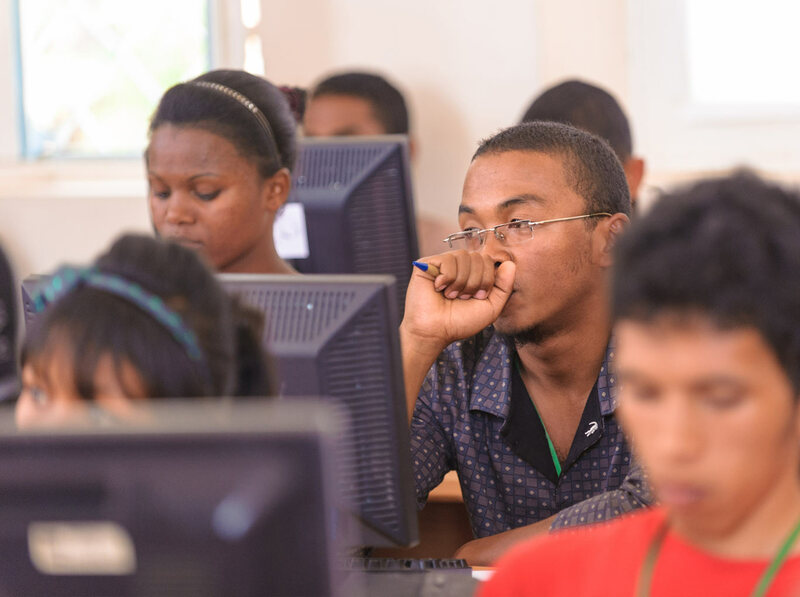 With training centers and operational offices in Belgium and Madagascar, we try to educate and reintegrate as many young people as possible through a sustainable business model.. The training, given by two professional instructors, is quarterly and completely free of charge for its participants. It lasts five weeks and is open to 40 participants. The training consists of several modules ranging from addressing the basic computer skills to learning very specific and more complex uses of the Microsoft Office programs. In order to ensure a high success rate as well as the social dimension of the project, selection is based on several criteria such as age, schooling level and social class. After successfully completing the training, students receive a Microsoft certificate, which they can put forward at future job interviews. 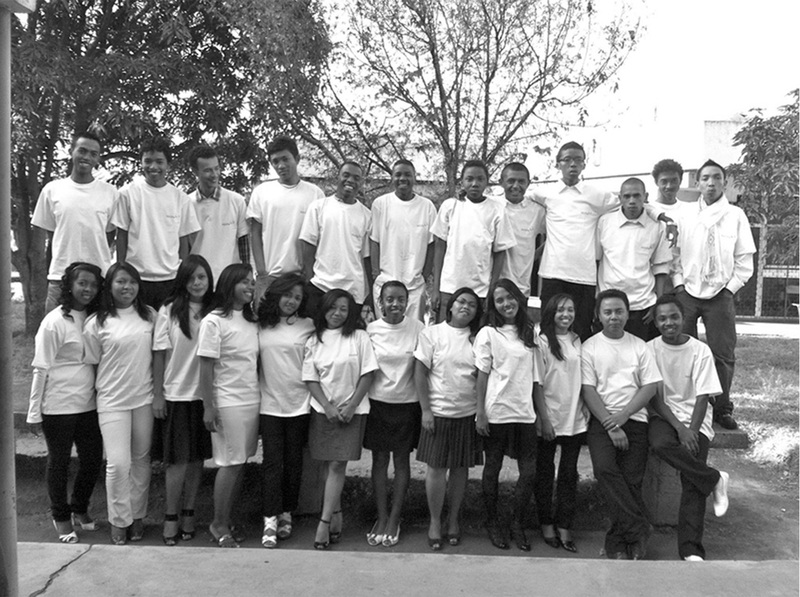 Our goal is to offer a full-time contract at Soccha Madagascar to at least 10% of our students. 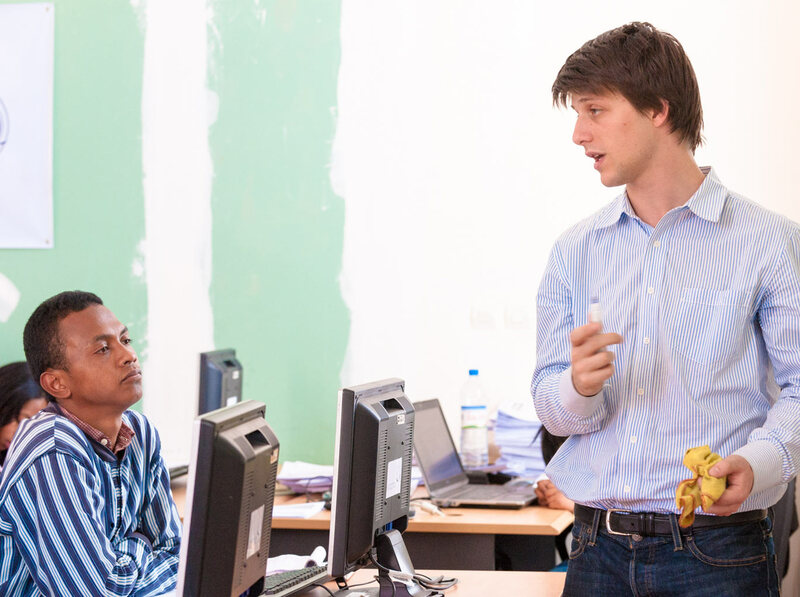 In order to professionally reintegrate as many students as possible, we have concluded partnerships with local enterprises, looking to hire people with a similar skill set than those who finished our training. In Belgium, our employees are recruited directly based on their profile, after which they can follow different trainings. The idea is to offer them a stable financial and professional environment while developing new skills. Each month, our employees follow 15 hours of training during work hours, so they can specialize in more specific and interesting career fields. 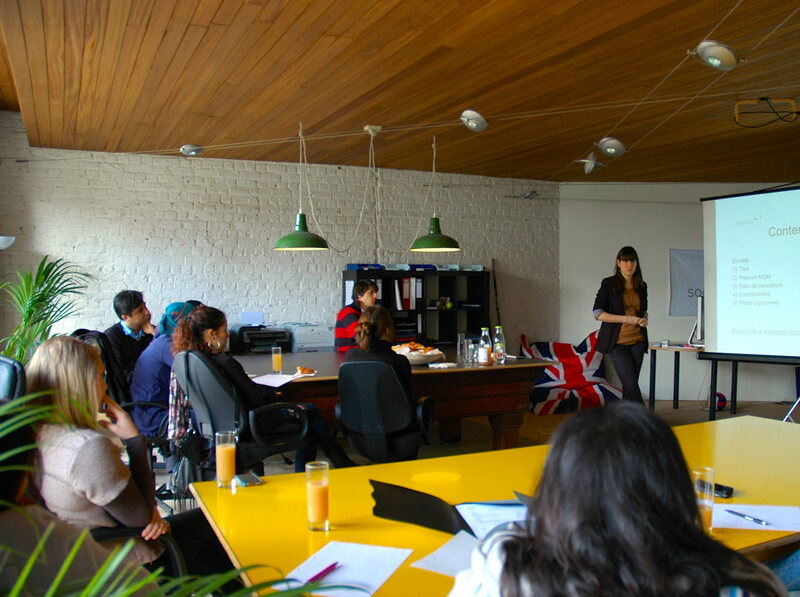 At Soccha Belgium, our employees are hired for a determined period of time. During that period they can gain professional experience and maintain a stable financial situation while having the possibility to learn new skills. 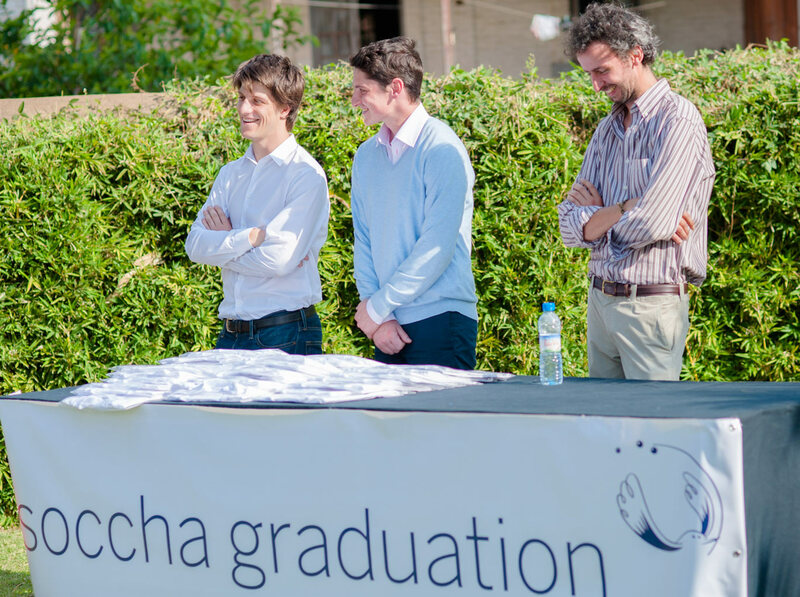 In order to learn these new competencies and be able to obtain stable a job in a field in which they wish to work, employees stay at Soccha for a period between 6 to 18 months.